Event planning and travel often go hand-in-hand, especially for large national and international events. Providing access to easy and affordable travel and accommodation options is also something that will lead to greater event success for attendees, staff and sponsors. Not only that, but collecting and analyzing travel-related data can be crucial to determining event ROI and attracting future attendees. Luckily, managing this data and making travel more convenient for attendees can be as easy as having the right event management software platform that can incorporate hotel and travel options directly into your event lifecycle processes. Ask yourself the following when adding travel and accommodation options to your event planning process to ensure success. A simple way to make travel management easy for your attendees is to include hotel booking options right in the registration form. Make sure to provide all important details such as room rates, room types and other options in a clear and concise manner. For attendees not ready to make accommodation decisions while they’re registering, allow them to go back in to add or edit hotel needs at a later date. By putting travel arrangements all in one place, it not only benefits attendees, but allows you to track more travel-related data, more efficiently. Does our event allow for budget-friendly options? : Attending events is often expensive. When it comes to attracting attendees to your event, providing money-saving options like hotel room block discounts, early bird specials and coupon codes are no-brainers. Go beyond these typical options and provide your attendees with accommodation options, like room sharing. This will not only can help make your event more affordable, but it also can greatly reduce your housing budget. Don’t forget to promote these options via timely email marketing and on your event website. Are we tracking all hotel and travel related data? : No matter what travel options you offer your attendees, the best way to know if they are successful is to continuously monitor and track your data so you can measure ROI, as well as make improvements for future events. By understanding your audience's event location and hotel preferences, you can plan future events better tailored to their needs, whether it's finding hotels with better Wi-FI, providing a shuttle to/from the airport or selecting a new event host city altogether. Consider integrating your event registration software with a global distribution system (GDS), which allows event planners to automate transactions between travel service providers and travel agencies. 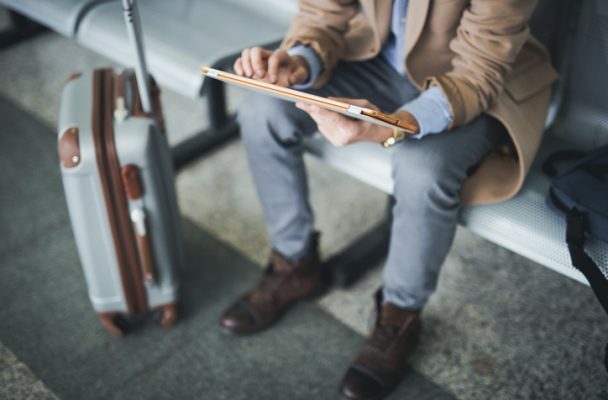 Not only will this make it easier to offer your attendees the best travel accommodations, but it will make all of your data seamlessly connect. To learn more about how to make your event travel planning more efficient, download our event travel cheat sheet.